Renowned for its excellence in higher education and rooted in the history of American independence, Boston is the capital of Massachusetts and also its largest city. Originally founded by Puritans in 1630 as the Massachusetts Bay Colony on the Shawmut Peninsula, it was also originally called "Trimountain" for its proximity to three hills. It was later renamed after a city in Lincolnshire, England. Boston is known as the cradle of the American Revolution and was the site of the Boston Massacre in 1770, the Boston Tea Party in 1773, and the first major battle of the revolution — known as the Battle of Bunker Hill — in 1775. The city of Boston is known for its historical landmarks and rich culture, and many districts boast some of the most well-preserved historical buildings in the U.S. Visitors can follow the 2.5 mile long Freedom Trail to Boston Common, the Massachusetts State House, the Old State House, and many more points of interest along the way. There are many galleries, museums, and fine arts and music venues, including the Boston Museum of Fine Arts, the Boston Symphony Orchestra, the Boston Pops, and the Boston Children's Museum. Built in 1912, Fenway Park is the place for sports fans to catch a baseball game with the city's beloved Red Sox. Boston's most famous citizens have included Benjamin Franklin, John Quincy Adams, Edgar Allan Poe, and Susan B. Anthony. City of Boston Government - official City of Boston website. Boston Weather and News - current weather in, and recent news about, Boston. Boston Product and Service Guide - Boston enterprises. In-depth Boston information and news can be found on these regional Boston Libraries and Boston Newspapers pages, respectively. 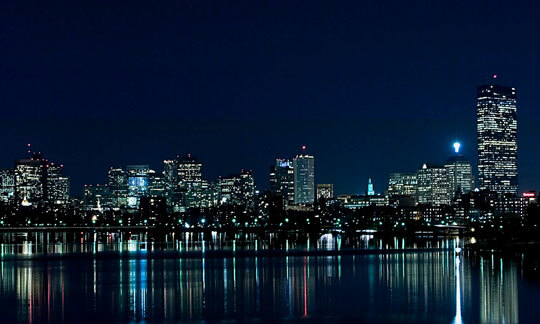 Visitors to Boston will find this Boston USA Guide website useful.